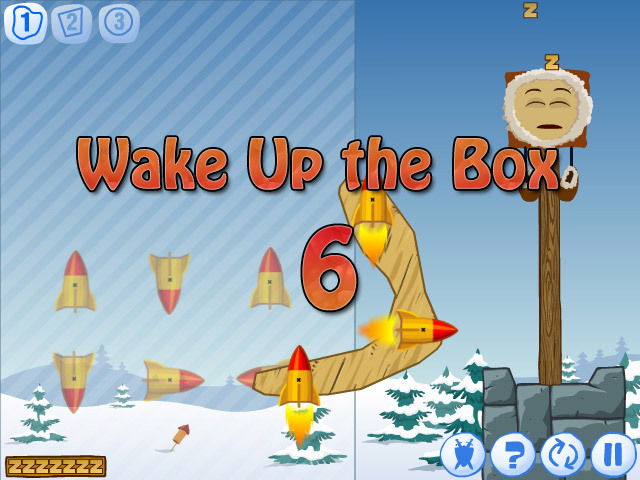 Wake Up the Box 6 is based on the same concepts as the previous versions – it’s a strategic building game designed to make you think and use the forces of gravity to work with you, instead of against you. This version features new challenges, new settings, and new objects! Unlike in the previous versions, the objects you create are not wooden – instead, they are metal. To complete each of the 35 levels, you must placeshapes that will help you wake up Mr. Box. At the end of each level, you are scored on how fast you could complete the level. Those scores then convert into game coins, which you can then use in the Coin Shop. Wake Up the Box 6 is the first version of this multi-part game series to introduce a game shop. After you complete each level, your score is converted into coins. Use those coins to purchase and unlock additional shapes and items that can help you in future levels. Items and shapes you might consider purchasing include long thin rectangles; long fat rectangles; small, medium and large squares; small medium and large circles; as well as rockets and bombs. You can link the game to your Facebook account to show off your high scores to all of your friends! 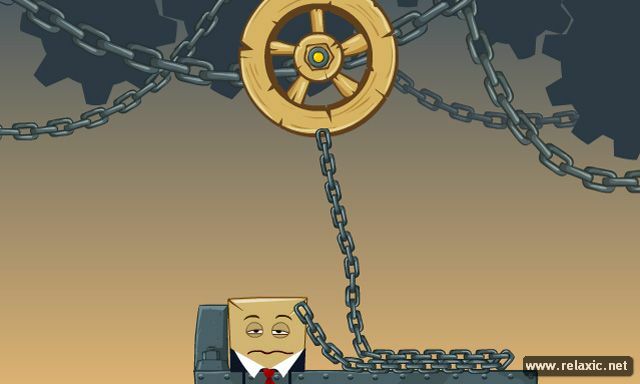 In Wake Up the Box 6, you must wake up Mr. Box, who has fallen asleep in various locations of an Amusement Park. He could be at the top of a high rollercoaster, sleeping inside a Ferris wheel, etc. What fun is the ability to link your Facebook account with a game if you can’t challenge your friends? In this version, if you link the game with Facebook, you can participate in the “Build Off Bonus” mini-game. In the mini-game, you can challenge your friends in constructing the most creatively large tower you can dream up. The better and higher your tower, the more points you earn. The winner is the one with the most points at the end of 60 seconds. The points you accumulate in the Build Off Bonus mini-game are then be converted into game coins, which you can use in the Coin Shop.